If you want to learn astrology, you will need to find a good literature. So many books have been written on various fields of astrology, such as houses, charts, and predictive, so an Internet search could return a very long list of options. If you cannot decide which book to choose and need some recommendations, we have collected a list of ten best books on astrology. To help you make a good choice, every book is described in detail. For example, you will find books for beginners and advanced learners. Let’s learn the fascinating world of astrology. For anyone interested in astrology, this book would be an excellent introduction to the study. Also, Bloch and George provide the readers with the method to understand and interpret own birth chart. Both authors are astrology professors who know how to describe a topic thoroughly and help a reader to make own interpretations. Basic knowledge like qualities of planets and signs is provided along with some useful features like space for personal reflection on topics. The authors of this great book call it the best self-guide to using astrology in every aspect of life. Indeed, this is an excellent reference guide to the field that introduces basic knowledge and applications in real life. For example, Parkers` Astrology contains extracts from a casebook that show how astrology can be applied to have fun and interpret various everyday affairs. Those interested in some guidance will find chart interpretations for leisure, career, marriage, and health, descriptions of techniques and signs. 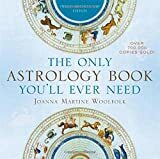 If you want to start educating yourself in astrology, this book is a good option because it provides a narrowed down approach. It introduces the reader to the field with a thorough discussion of sun signs and their influences on human life. By using this approach, readers can get a clear understanding of how signs impact their lives and how to identify that impact. You will be amazed how accurately this book describes your sign and signs of your family members and friends. Also, all information about how zodiac views your success, relationships, and future can be found in this excellent source. The latest edition of one of the best-sellers in astrology introduces a reader to a rich world of sun signs, placement of planets, ascending signs, and other astronomical discoveries. Also, it will be a useful guide for those who need a source of self-guidance. For example, Woolfolk included a sign compatibility chart as well as valuable advice on marriage, money, health, lifestyle, and ways of handling negative features of signs. The author is a well-known columnist for Redbook and Marie Claire magazines who has been studying astrology for more than 20 years, so her text is fairly comprehensive and useful for people interested in the field. If you`re looking for an astrology book about relationships, you can use this one. It was written by authors with decades of experience in the field who also produced other best-selling works, one of which is the next item in this list. Inside, you will find more than a thousand of relationship possibilities, influence of chemistry in defining the outcome of a relationship, and comprehensive profiles of relationships between two people. The profiles are based on the week when the people were born. Another best-selling title from Gary Golschneider and Joost Elffers. This time, the authors focus on birthdays. In astrology, birthday is a profound concept because it affects a person`s essence. Each day of the year is given a unique profile to explain the astrological importance and define a personality. To create these personality profiles for each day, the authors interviewed and observed more than 12,000 individuals. A great introduction to predictive astrology is given in this source. The authors focused on helping the readers to improve their forecasting and interpretive skills. After reading this book, your knowledge of predicting events related to finances, relationships, health, death, misfortune, and other areas will significantly improve. 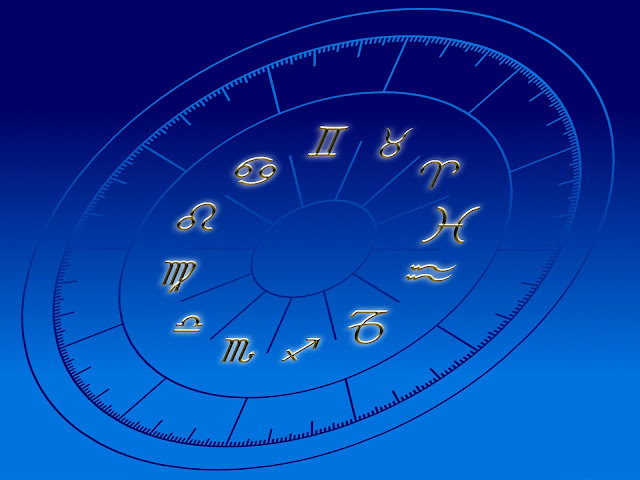 All essential elements of predictive astrology are discussed in depth, including lunar nodes, eclipses, transits, solar and lunar returns, planetary aspects, and others. The astrological chart has twelve houses, and this book presents a great guide to them. A well-known astrologer, Howard Sasportas discusses each house in great detail as well as events and situations related to them. The astrological community recommends this book for both beginners and advanced learners because of its in-depth analysis and meanings for various spheres of human life. Even though the original version of this text was published in the 1980s, it still remains one of the most popular works in astrology of fate. The author of the book, Liz Greene, is the founder of the Center for Psychological Astrology, is one of the most famous names in the field. She provides readers with important insights into the concept of fate and its development. A great source of human design chart that provides a comprehensive guide to personality and ways to deal with daily issues. The guide to this complex concept is offered in a simple and direct language so you can develop your individual human design chart. It can identify your strengths and shortcomings to help you realize your true potential. Tom Jager is a professional blogger. He works at Bestessaytips. He has a degree in Law and English literature. Tom has written numerous articles/online journals. You can reach him on G+ or Facebook.